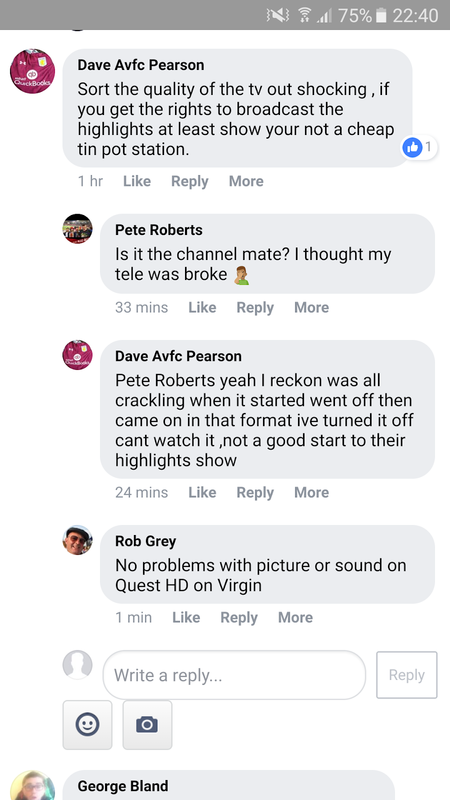 Fans were not impressed by a retro-looking Football League highlights show, caused by a technical fault. A new season, a new broadcaster for the Saturday night EFL highlights: but the opening show on Quest was slammed by viewers, complaining of poor picture quality and of the programme not going out in widescreen. 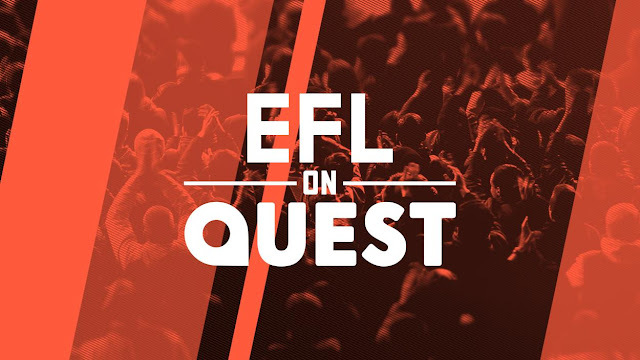 Quest, owned by Discovery, the broadcaster behind Eurosport, was announced as the new broadcaster for the weekly highlights show back in May, taking over from Channel 5. But some viewers tuning in to see the Colin Murray-fronted show found themselves being transported back in time, with the highlights going out in the retro 4:3 picture format on the Quest SD channel, resulting in thick black bars either side of the picture. The 4:3 picture format began to be phased out in the UK 20 years ago with the advent of digital television and the adoption of 16:9 widescreen TV. Additionally, a number of viewers took to social media platforms to complain about picture distortions as well as an overall poor picture quality throughout the show. The Freeview version of the channel is only available in 3/4 SD 544×576 resolution. 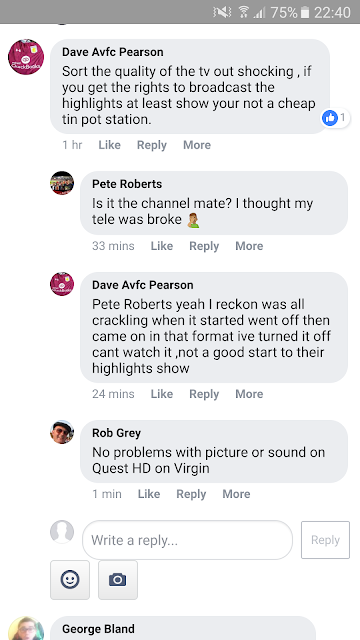 On platforms where Quest HD is available, most complaints started coming in once the highlights show started its replay on the +1 channel, which is SD-only. "We apologise for the technical difficulties effecting [sic] tonight's EFL highlights for some viewers. We are aware of the issue and are working to resolve this." 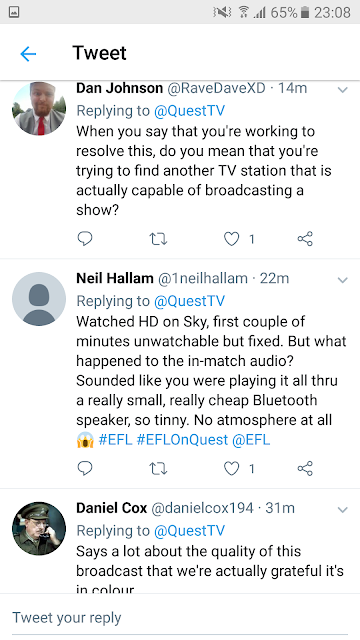 Long suffering football fans will remember Channel 5's EFL highlights also got off to a poor start. Back in 2015, most of the complaints were about a lack of actual football though, rather than technical issues.